Add some flair to your outfit and share your company pride with personalized buttons and pennants from Promotion Pros. We offer a variety of custom buttons for your employees to wear during community events and to pass out to others. Custom pennants allow visitors to your booth or table at business expos easily identify your company and they create long-term brand recognition. Our promotional buttons and pennants are a must-have for any company participating in local events, fundraisers or trade shows. Present your promotional story in this cute celluloid round button. 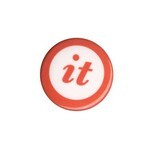 This 1.5” round button is a great attention grabber at promotional events or rallies. The professional style and finish give it an added sheen. All our buttons come with a safety pin back, but you can also customize it as a clothing magnet, fridge magnet or use the versatile bulldog clip. Whatever your project or brand promotion, our celluloid round buttons ensure instant promotional success. This 1.5” round button is the most durable in the button spectrum today. With an extra piece of metal between the back and the graphic design makes this 2-piece button rugged and sturdy. 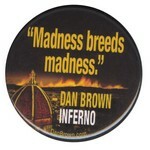 These premium round buttons are great giveaways at promotional shows and events. 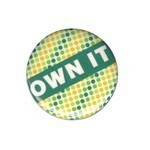 With this custom button, your branding and message are guaranteed to attract customer interest and interaction. Give a contemporary twist to this classic circle and spread the message and branding in style. 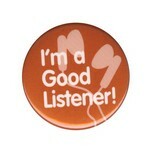 Shaped buttons are a great way to promote your publicity or campaign messages. 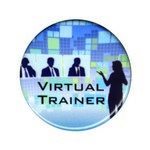 Our custom shaped buttons grab the attention of people and encourage them to ask for more. Start a conversation about your product, idea, concept or about anything with this square-shaped 1.5” button. You can imprint your brands and messages on the button, and we provide free color matching and up to 4 color free printing. Grab a custom button today with your promotional message and have your own roving ambassadors of your brand. 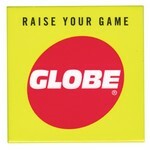 Give a vintage style to your advertisement and promotion activity through this 1.1/4” celluloid round button. With its ivory sheen, celluloid is an excellent promotional tool for your organizational campaigns and brand building. With safety pin backs, the buttons hold on to a shirt or lanyard firmly. Get your message or brand imprinted on this round celluloid button and get ready to grab the attention of your customers with this stylish buttons. Let your product promotion ride on this 1.45” round button. Built in the sturdy two piece design, this classic round button is a great promotional vehicle for your brands and messages. You get great value for money as we offer free printing for up to 4 colors as well as free PMS color matching. Customize and imprint your brand, corporate logo or promotional message on this round button and broadcast your branding or message in style. This classic 1” round button with the lock pin at the back is a favorite of a lot of classy buttons for promotional purposes. The lock pin ensures that the button is latched on firmly. We customize as per your design, logo and offer a professional touch to get your branding across through this mobile medium. We also provide you up to 4 colors imprint for free and free PMS matching. Class never goes out of style, so latch on to this classic round button and promote your brand in style! 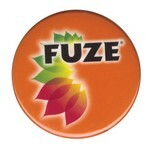 This round shaped button is all set to give a fillip to your next advertisement or promotional campaign. With a convenient 1 3/4” x 2 3/4 size and a classic round design, this button is ideal for your promotional giveaways. Customize your messages with our professional touch and reach out to several customers at once. Easily wearable, extremely durable with custom options, this round button will ensure success in all your marketing and promotional efforts. Thinking of attractive buttons for your next custom printed giveaways? Look no further than this cute oval shaped button. 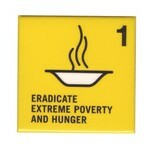 It is convenient 1 3/4” x 2 3/4” size is a great option to promote and build your brand. With up to 4 color printing and free PMS color match, you get a winning value proposition. Customize with your brand identity and logo, promotional messages and showcase your product or message to the world! This unique square-shaped 1” x 2” button is a durable and multipurpose button. It could be to show solidarity and support to a cause or to create a buzz around a brand. Whatever your requirement we have this square button will take care of it. Our professional touch and precision finish in custom printing your logo and promotional messages ensures that your brand and promotional messages stay on top of the minds of your customers. Get ready to promote your brand in style with this square button now! Celluloid buttons in classic round shape are for all seasons and several reasons. You can use this 2.5” button for promoting your branding or advertise your newest launch to thousands of customers in a professional and innovative way. The celluloid design gives it an added attraction to the touch and finish of this classic round button. Get this vintage style button for your advertisement and branding and promote your products and message in style. This premium 2.5” round shaped button is another gem of a button in the classic round shape. Whether it is your business or social or political event, customize our buttons with specialty ads and promotional branding. Your message and the brand gets an inexpensive mobile billboard that has a tremendous reach. The 2-piece build quality ensures durability and toughness to last your campaigns and more. Imprint your brand or message in up to 4 colors free on this round button and promote your products and messages in style. Thinking of your next big fundraiser gala? Think about our custom shaped buttons for a promotional giveaway. All our buttons come with a safety pin back, but you can also customize it as a clothing magnet, fridge magnet or use the versatile bulldog clip. This square-shaped 2.5” button is ideal for your promotional giveaway. We offer up to 4 colors free imprint on the button of your choice. Showcase your message or brand on this mobile canvas and have your walking and talking billboards.